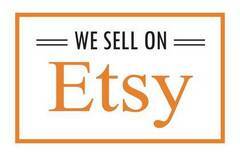 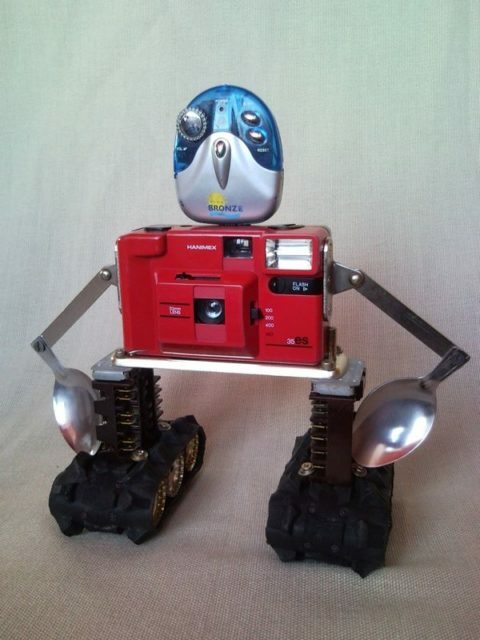 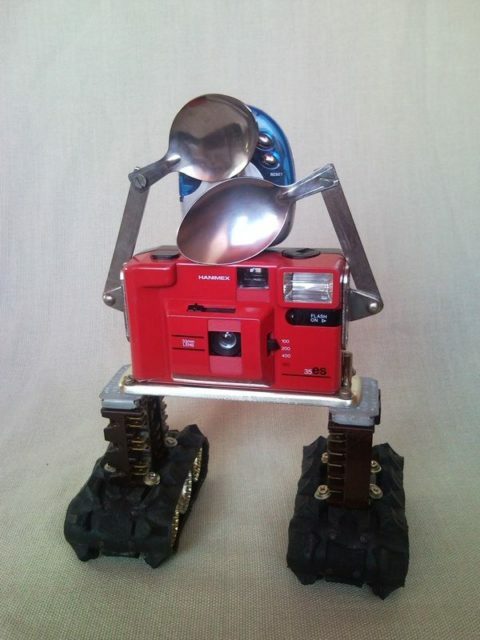 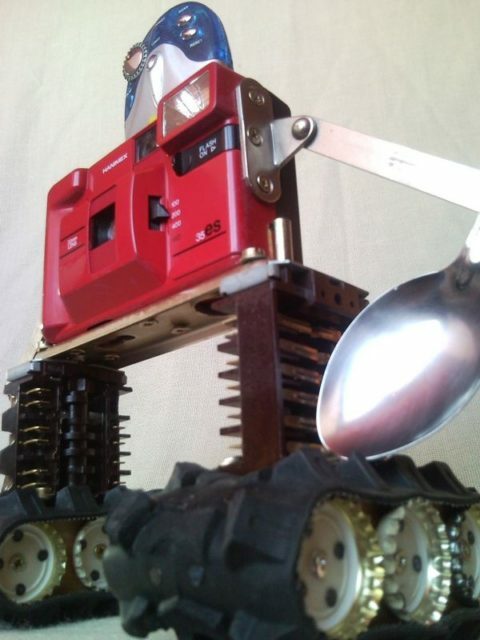 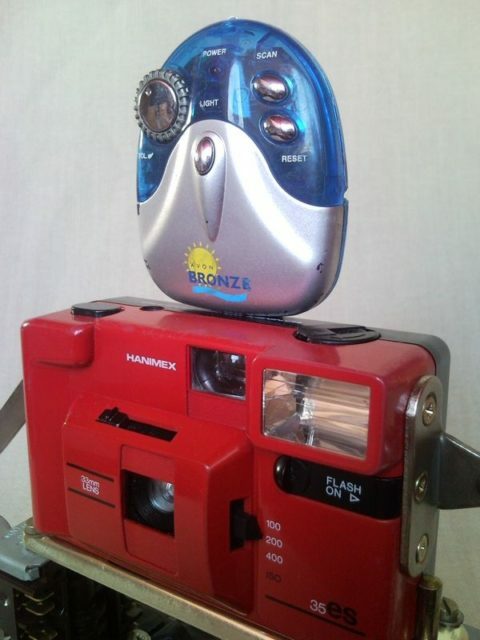 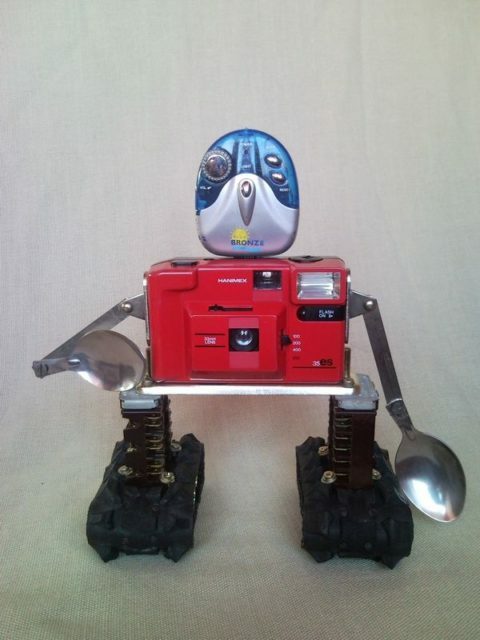 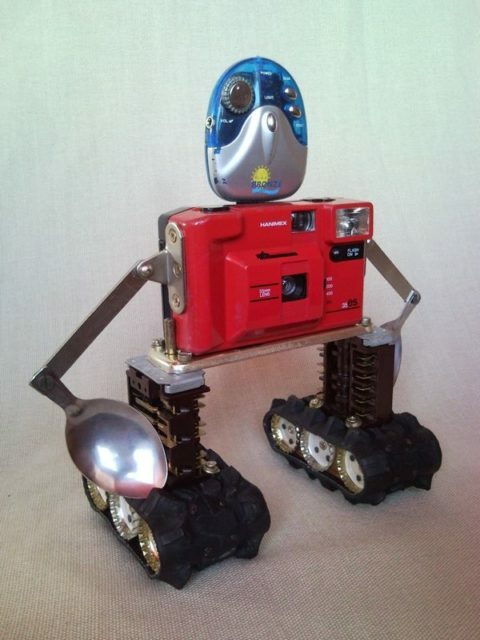 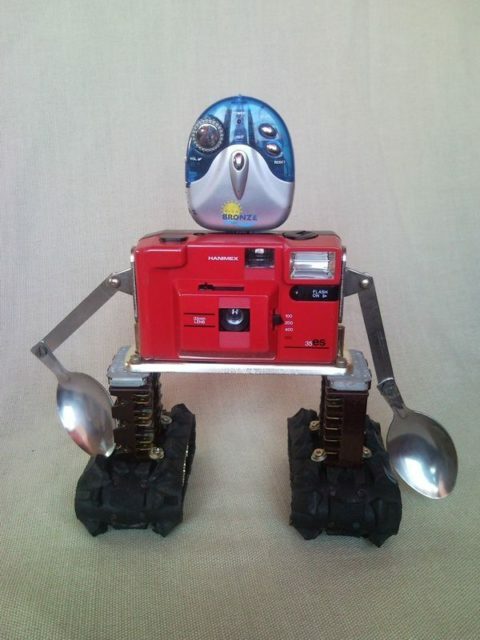 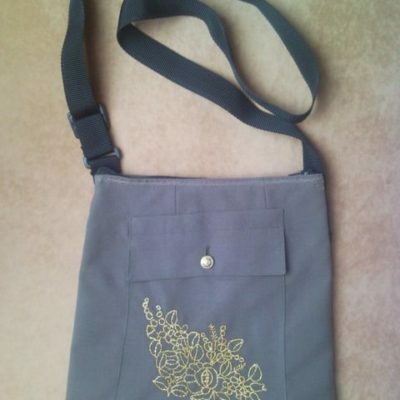 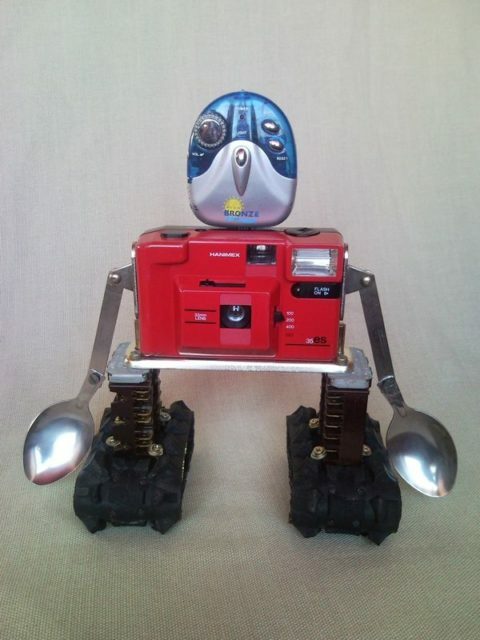 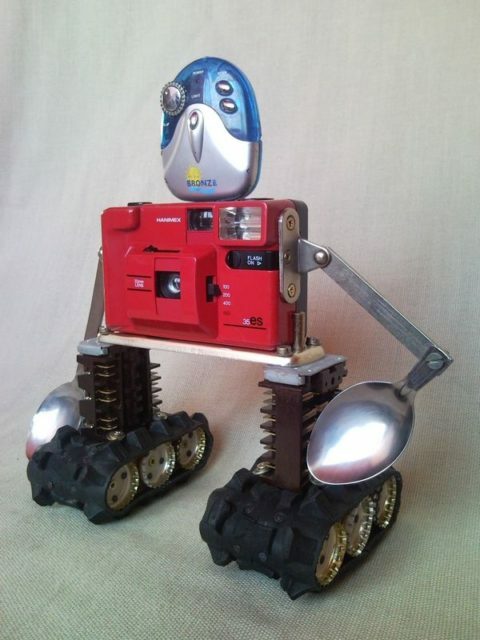 You can buy this camera robot in our Etsy Shop too. 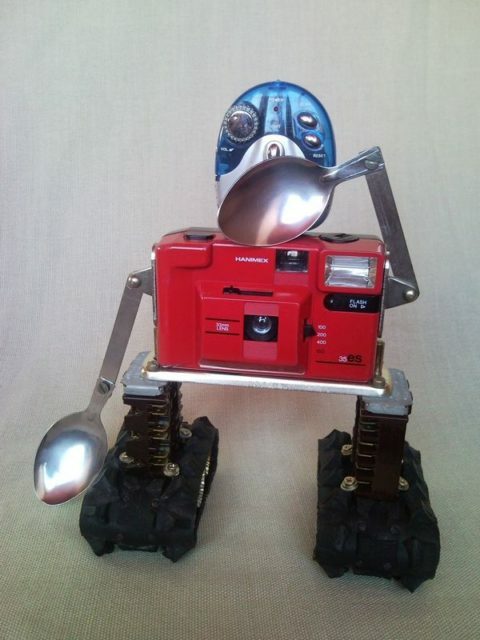 Robust photo camera recycled robot, upcycled machinery, movable spoon arms and Radiohead 🙂 found objects, junk sculpture assemblage, home decoration. 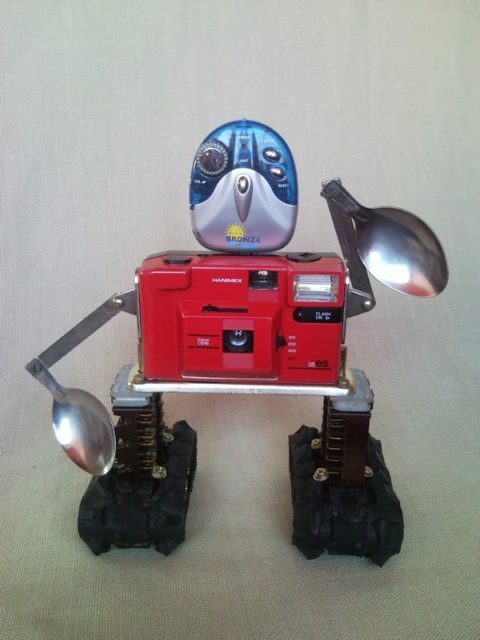 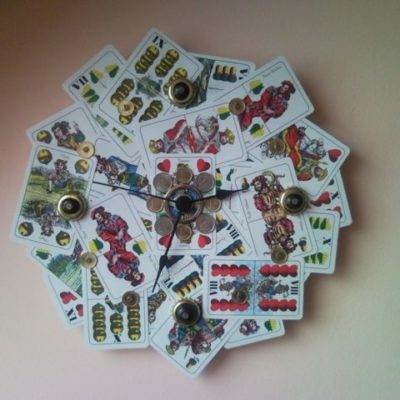 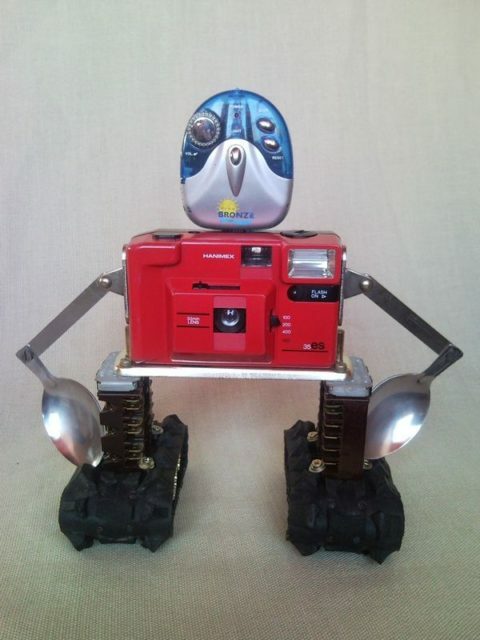 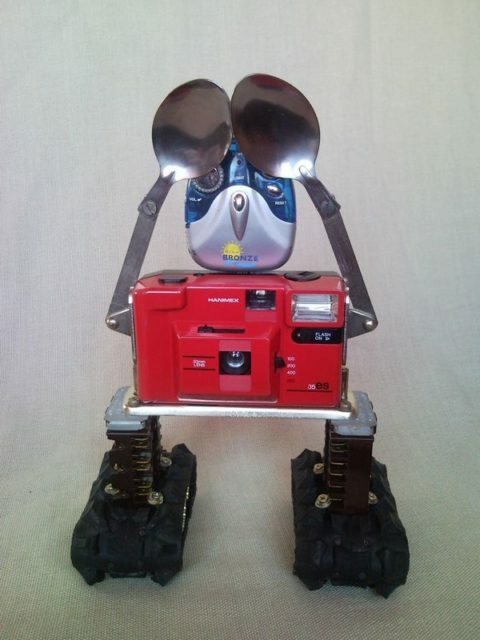 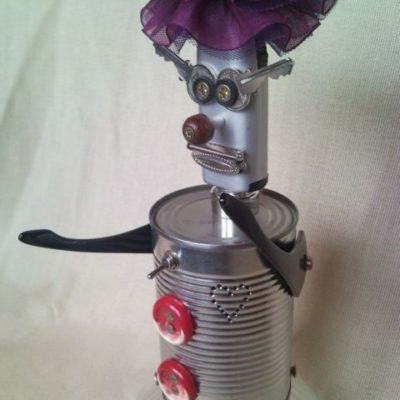 Please note, this is a creative and funny photo camera recycled robot home decoration for adults, not a toy for children.